Although it is not really off-season for this plant to be thriving, in the UK it is unusual to have it decorating your office in Summer! It is the first plant I have kept alive for any period of time and I can’t tell you how happy I was when it started flowering again! 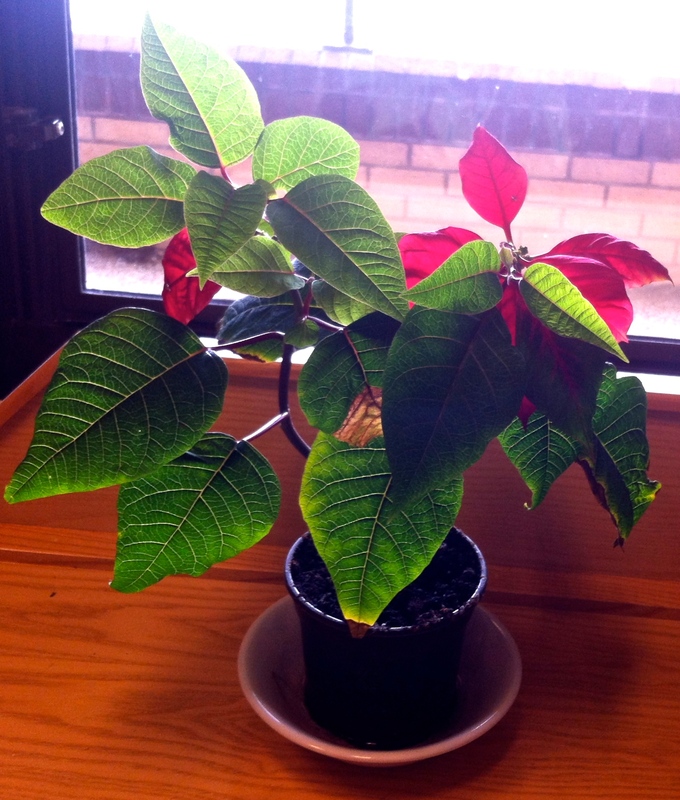 My Christmas Poinsettia is blooming. ← Monday Inspiration – Just Keep on Keeping on – like this wee tree! Thanks Renae. I am proud I have kept it alive!